The Bentley Liverpool, on the junction of the Strand and Brunswick Street Liverpool City Centre, has been open now just over a year and has quickly become the backdrop to parties and events. 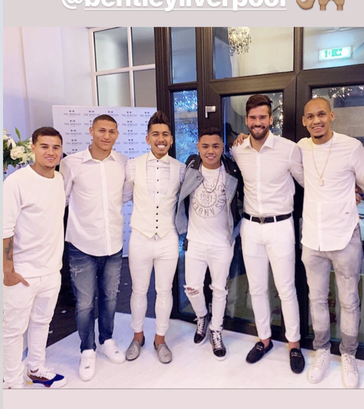 Ranging from weddings and christenings to recently hosting a white themed party for Liverpools F.C’s Brazilian star forward Roberto Firmino. Two event spaces, the Port of Liverpool room and the Cunard room or the use of both offer unparalleled event space in the heart of the business district of the city centre. The Cunard room is built for cabaret, comedy nights and stage performances, while the Port of Liverpool looks out onto the Unesco World Heritage status waterfront and is ideal for weddings and celebrations. Over nearly 3000 sq feet and catering for numbers from 50 to 300 guests, the venue has been received with open arms by the city and was a much needed addition to the event and exhibition market of the city.